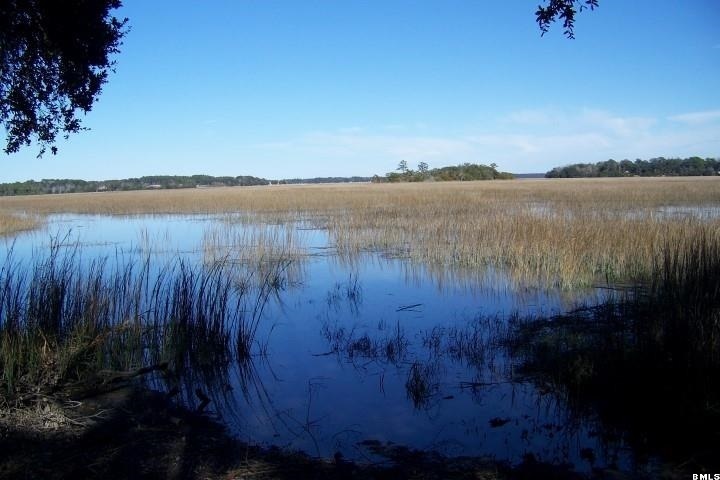 Marsh frontage available lot touching the the marshes of the Beaufort River with a distance view of the Atlantic Intracoastal Waterway. Ideal to build a crabbing dock. Highest elevation by the road is 17 feet, steadily declines closes to the marsh. Front half is ideal to build a home and have a garage or basement under the home. Lot has Oak trees for natural shade. Drainage ditch on the extreme right side behind Dollar General that has a high retaining wall. Covenants have expired, no homeowners association or any regime fees. In the County, just outside of the City limits.